What are the key issues in robot safety? 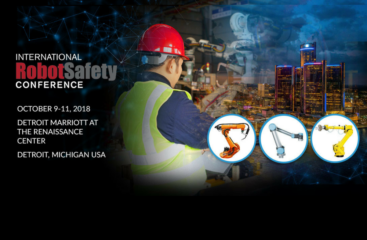 At the International Robot Safety Conference learn about current industry standards.Held in the “Motor City,” this conference will share the newest technology and viewpoints about robotics safety in automation planning. Presenting at this annual event will be our expert Nathaniel Cole of TUV Rheinland OpenSky. Speak with our Robotics Cybersecurity expert! Bring your questions about cybersecurity testing for robotics to our expert, Nathaniel Cole. Schedule a time to meet with Nathaniel and discuss your questions in the area of robotics testing and certification.If you are running a manufacturing operation that uses industrial robotics, you will want to attend this event. See our services in IoT Security for Robotics and Mobile Devices.